Rock guitar legend and founder of the Save Me Trust, Brian May, took time out from his Queen tour in Auckland, to urge New Zealand to help end the suffering of animals used to test cosmetics such as shampoo and mascara. As he prepared to rock out the Vector Arena, Brian met backstage with #BeCrueltyFree New Zealand campaigners who are leading efforts to achieve a national ban on cosmetics animal testing and the sale of cosmetics animal tested abroad. Political support for a New Zealand ban has been growing. In March Green MP Mojo Mathers proposed introduction of a cosmetics animal testing ban as part of amendments to the Animal Welfare Act, and the Labour Party has also pledged a ban should it succeed at the upcoming national election. #BeCrueltyFree campaigners are determined to see the issue debated when Parliament reconvenes in November. 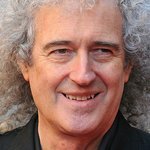 Brian May’s Save Me Trust is a non-profit organisation speaking out against the persecution and torture of wildlife for sport. But it’s not just foxes and badgers and other wild animals who are at risk. The Trust also periodically expresses support for other initiatives dedicated to ending animal cruelty. Today, Save Me Trust wishes to add its voice to Humane Society International and their campaign to end cosmetics tests on animals in New Zealand.